The weather is finally gorgeous here in Kentucky, and as soon as it’s nice, we are ready to open up our patio! 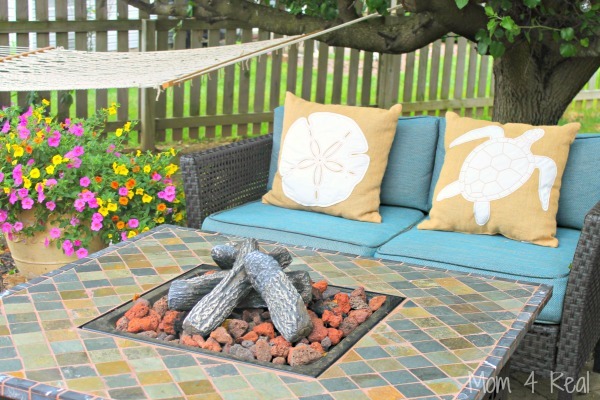 We spend every free moment we have in the spring, summer and early fall on our patio, so it really needs to feel more like an outdoor living space. I want it to be beautiful and inviting, and really feel like an extension of our home. This year, I really wanted to take the decor up a notch and add some fun colors! I love our existing patio furniture, but it needed just a little something more. 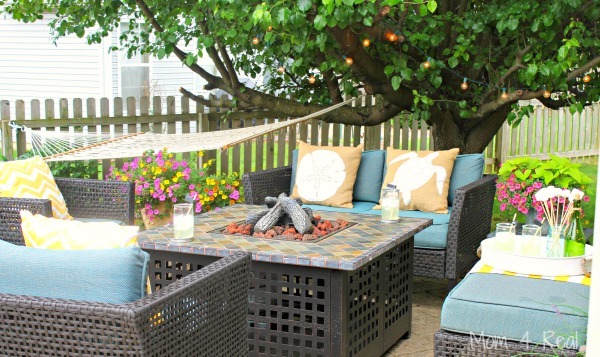 I want this to be a place we can entertain our friends and family, so I wanted to find some fun items to give our patio a little character as well as some things we can use when we are entertaining! A trip to Kirklands.com took care of that for me pretty quickly! The top priority for me was a couple of cute Burlap Throw Pillows. I think they make the settee feel more like an indoor sofa than a piece of patio furniture. 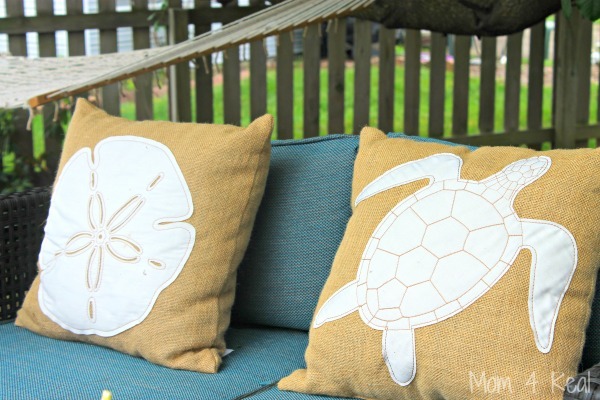 I immediately fell in love with these two burlap throw pillows with the sand dollar and sea turtle…they just scream summer, and make me think of the beach! 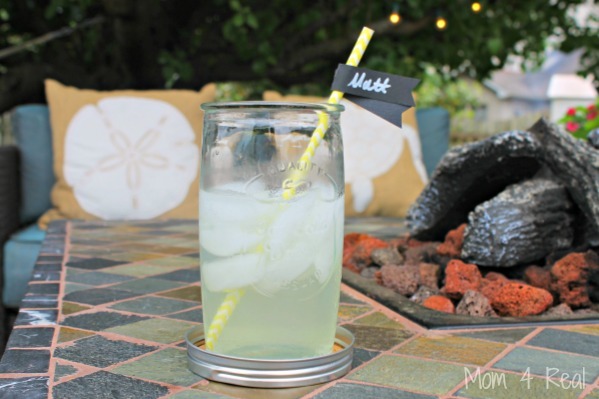 Back to the sweet jar like glasses…told your they were perfect for lemonade! 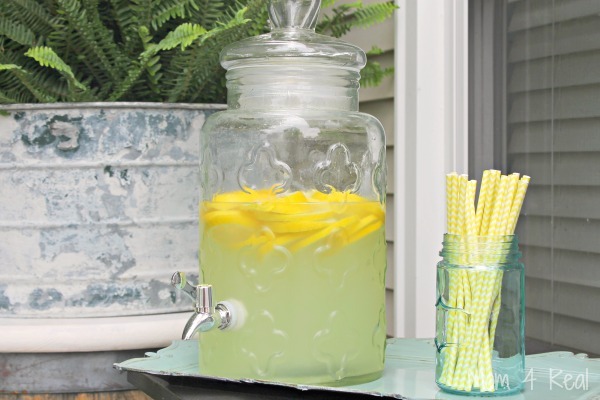 Speaking of lemonade…I wanted to be able to fix a big batch and keep it right on the patio so our guests could serve themselves. This Quatrefoil Beverage Dispenser was just what I was looking for! It keeps the bugs out, and my guests can serve themselves! I found this super cute serving tray that pairs perfectly with it, and keeps our furniture from getting wet from drips or condensation underneath. A get together wouldn’t be right without a little snack, am I right? I found this beautiful white hobnail chips and dip serving platter to use…I love the details! And I just had to have a couple of lanterns to hang and place around for the evenings. I love these, and am thinking about adding some shells to the bottoms after we return from vacation! 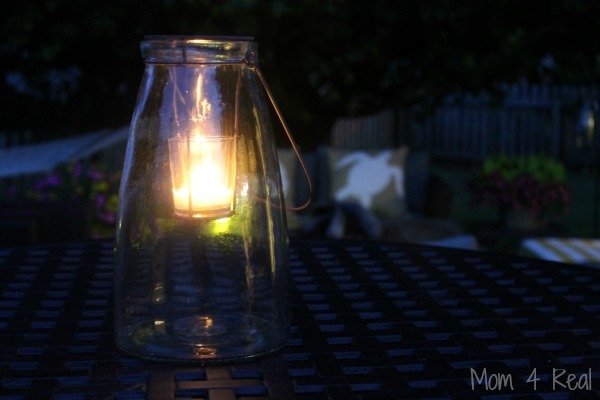 And one of those fabulous hanging lanterns that I placed on our outdoor dining table! 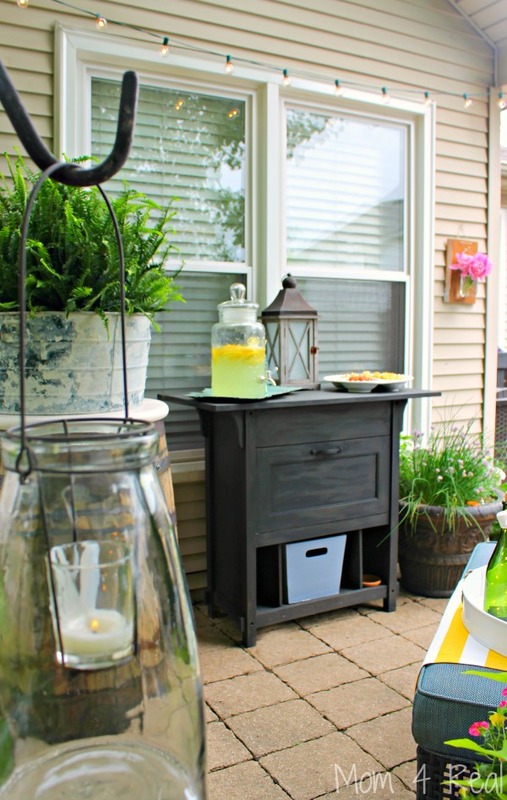 I loved shopping for new items to really make our outdoor space inviting and fun to spend time on! 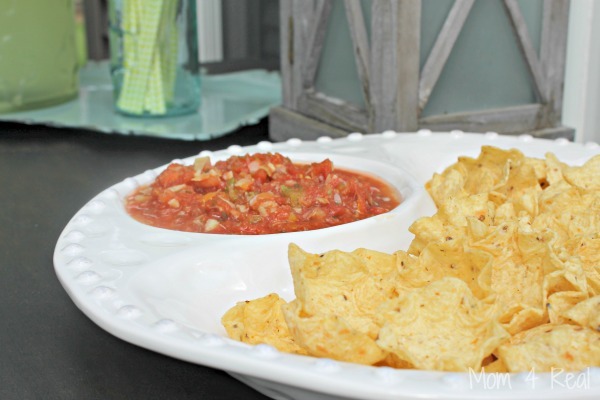 Now we are ready for lots of summer entertaining with family and friends! 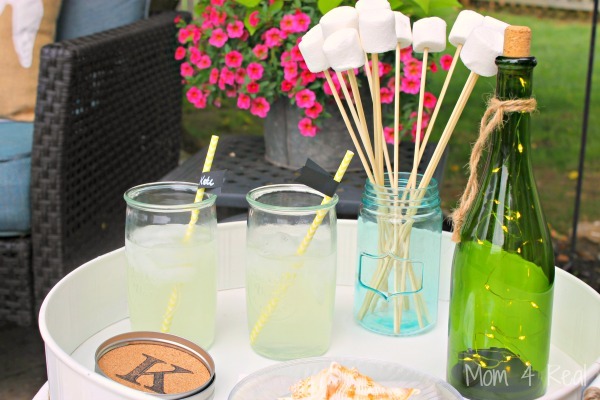 Kirkland’s and Kirklands.com are the perfect spot to grab all kinds of great items for your patio and home! 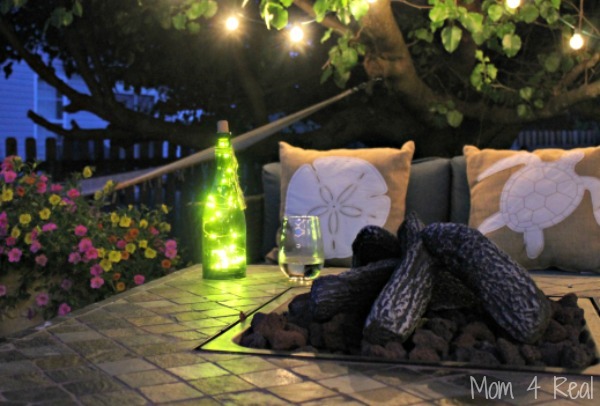 I adore their hanging patio lights, dishes, pillows, rugs and so much more, and you will too! Kirklands has given me a $100 gift card to be used either in store or online to give to one of my lucky readers! 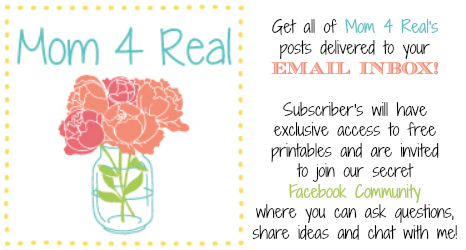 All you have to do is visit Kirklands.com and come back here and leave a comment telling me what your favorite product is that is currently available! Use the rafflecopter below to do so and find other ways to enter! This post was sponsored by Kirkland’s. All photos, ideas, and opinions are 100% mine! Find tons more cleaning and organizing tips and tricks from Cleaning In Between The Glass On Your Oven Door to making your own natural cleaning solutions from Mom 4 Real HERE!